While the average individual typically thinks of roses or tulips when they hear or read the word flower—it’s even apparent in several Flower Drawings we come across practically everywhere—I gotta say that the sunflower definitely holds its own. 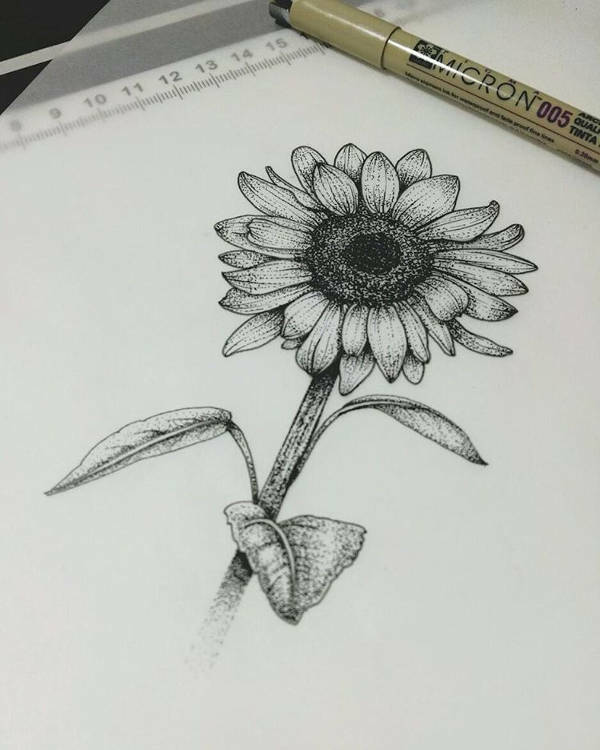 It has its own charm, and you can definitely see it in this collection of beautiful sunflower drawings! 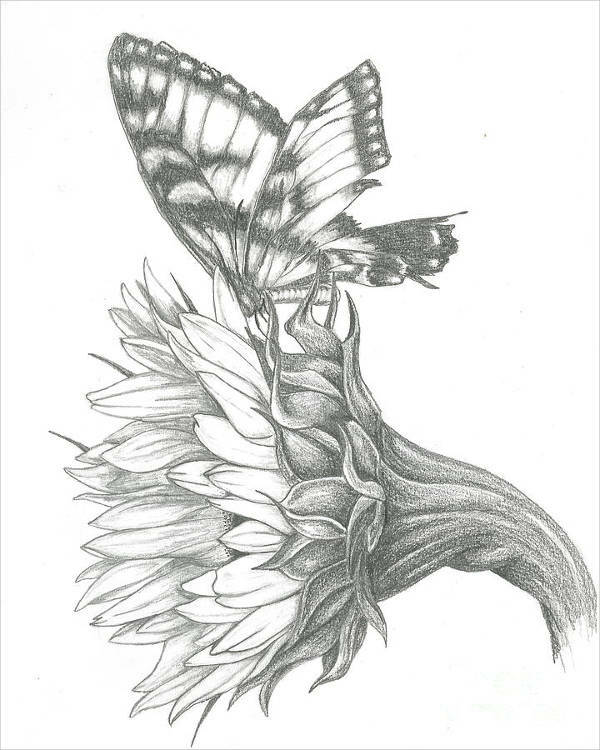 These sunflower sketches are almost as beautiful as their real-life counterparts. 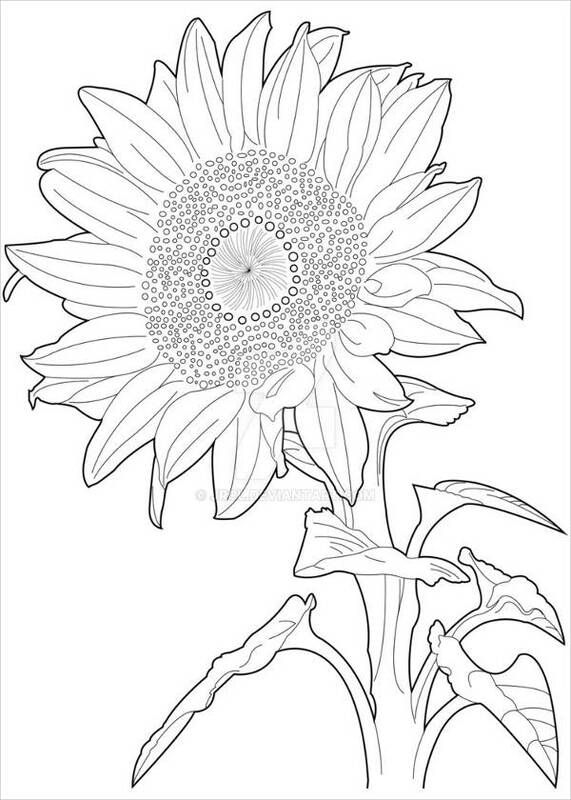 They also come in a variety of sunflower illustration designs, and they are available for JPG download. 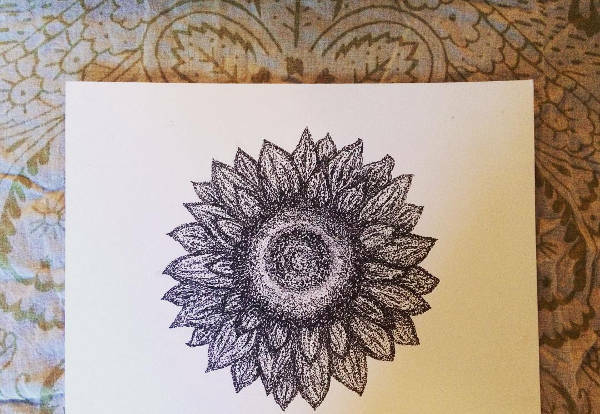 Scroll down and check out these sunflower drawings for yourself! Though lacking the vibrant yellow, “Sunflower Tattoo Drawing” and “Sunflower Flower Drawing” both still exude the sunny quality that is quite singular to this lovely bloom. 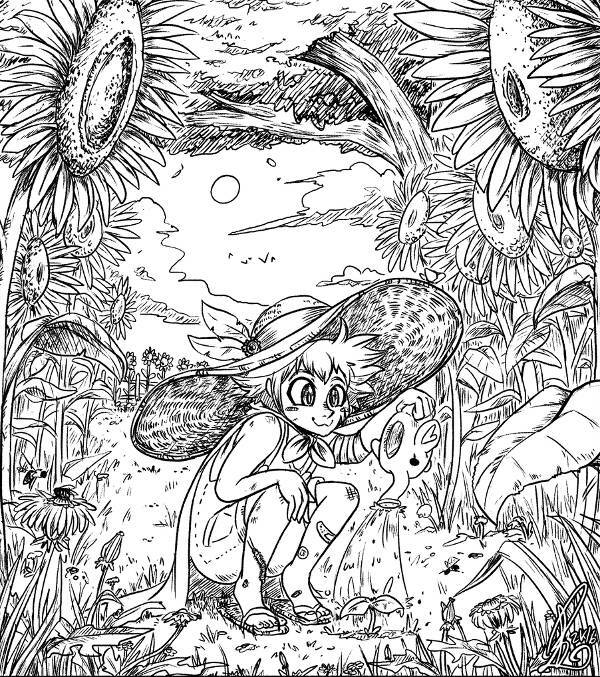 As you can see in these sunflower illustrations as well, the artists did some clever shading techniques (lines in the former, dots in the latter) to add depth and dimension. 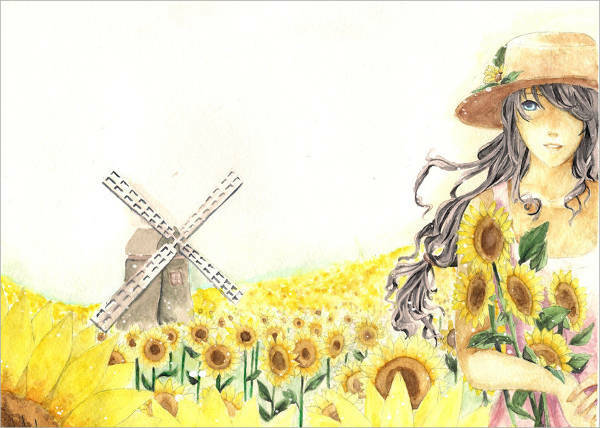 The artists of “Sunflower Color Drawing” and “Sunflower Field Drawing” do not disappoint with their brilliant use of yellows, browns, reds, greens, and several other colors to produce amazing-quality sunflower sketches. 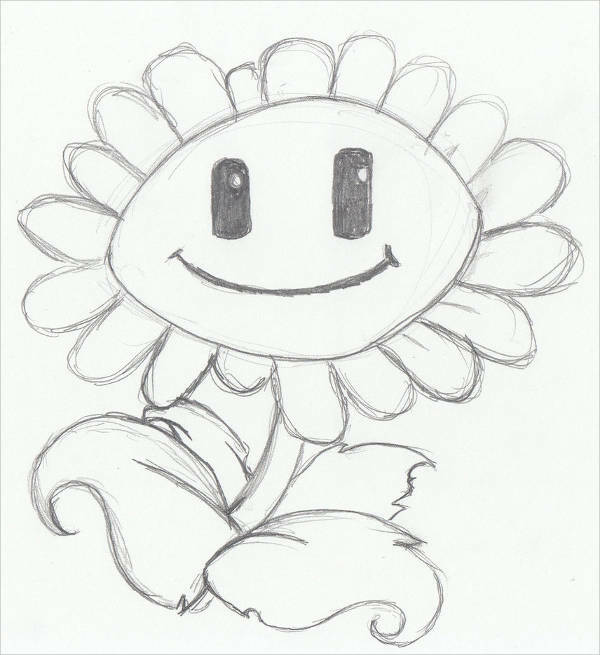 Then there are the likes of “Sunflower Plant Drawing” and “Sunflower Garden Drawing.” The cartoon style adds another element of fun, further perpetuating the notion of sunflowers being happy flowers. Any of the handful of black-and-whites we offer here can do the job. But we suggest you opt for “Sunflower Line Drawing” for your little girl and “Sunflower Garden Drawing” for the little girl who wants a challenge. Ha-ha! For you crafty ladies and gents out there, go ahead and start up a new project! 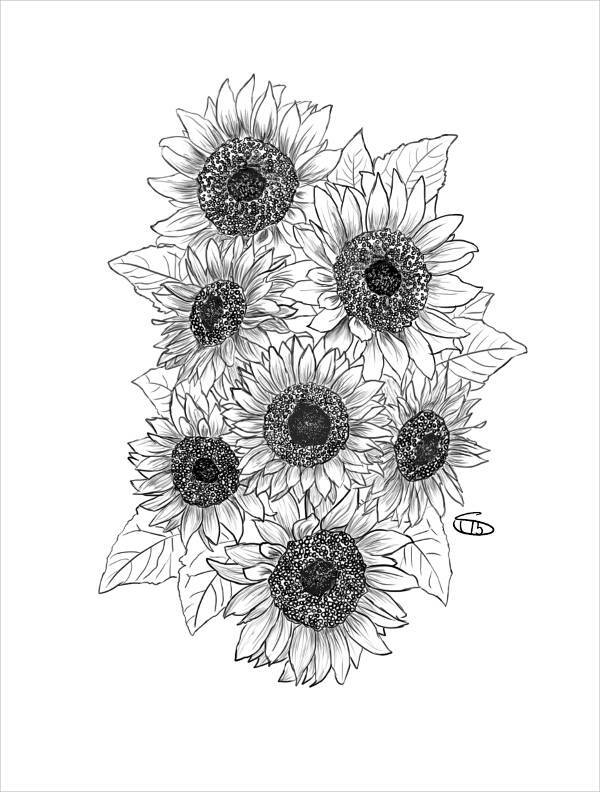 Download “Sunflower Pencil Drawing,” convert the image to a cross stitch pattern with any of the available converters online (perhaps Pic2Pat will be handy), print out the converted image, take out your aida cloth and choice embroidery flosses, and get to stitching! Picture “Sunflower Field Drawing” on some stiff paper. Just add your personal message, and send it to a friend. That friend will surely smile right when he or she gets it! 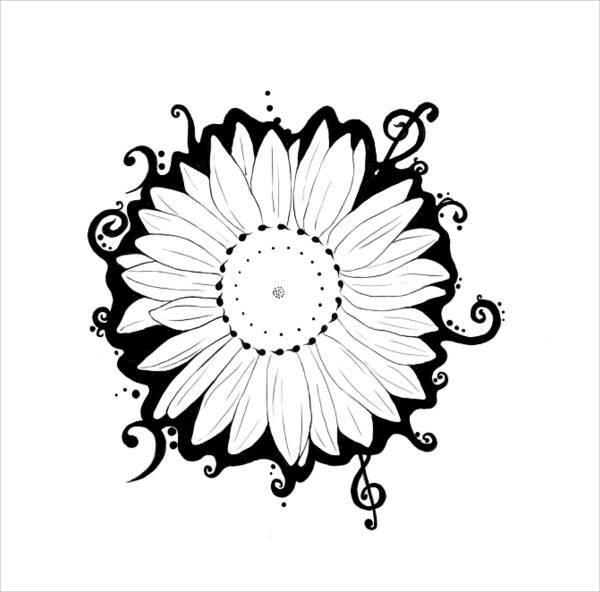 Go ahead and check out these sunflower drawings. Or these Tree Drawings if you’re more up to green today.